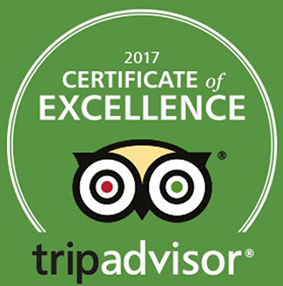 / Best Hot Wings in Destin FL / Wing Wednedsday 69¢ each ALL DAY LONG at Landshark’s with MARLINS vs GIANTS, RAYS vs ASTROS & lots more! 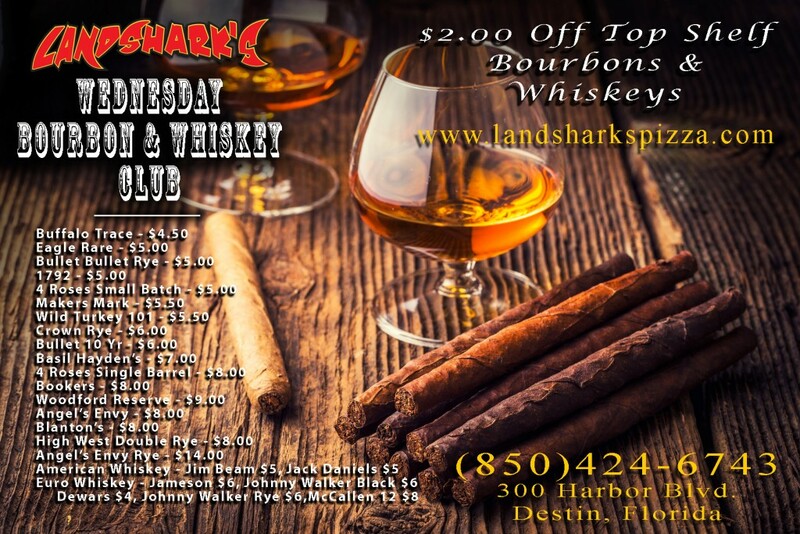 Wing Wednedsday 69¢ each ALL DAY LONG at Landshark’s with MARLINS vs GIANTS, RAYS vs ASTROS & lots more! The highlight of the Destin work week has arrived: WING WEDNESDAY at Landshark’s! 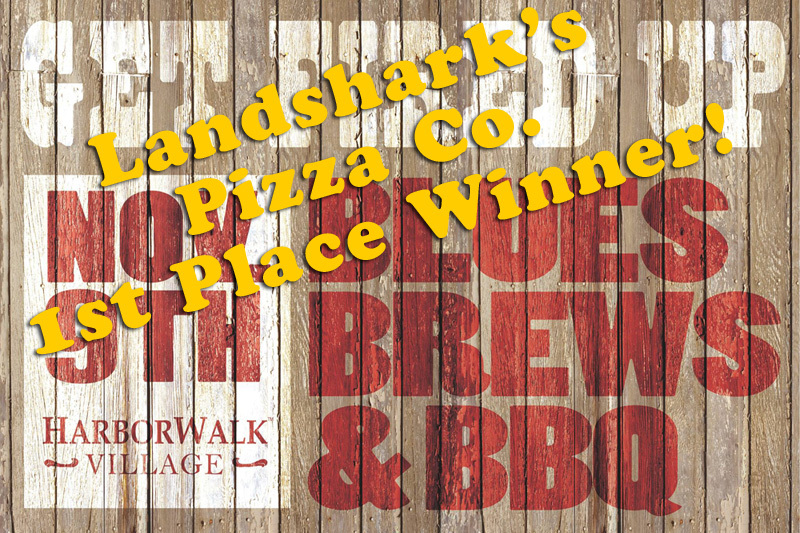 You’re already hot so you may as well dive into a wonderfully delicious mound of spicy, sizzling-hot, juicy, crispy, yummy, AWARD-WINNING Landshark’s Wings on WINGSDAY! 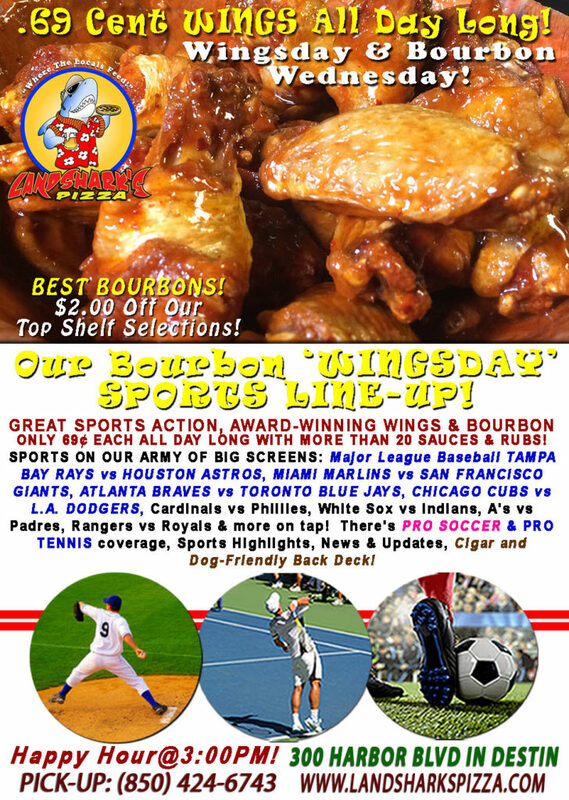 ‘Wingsday’ is a tradition in Destin with our juicy & delicious Award-Winning wings for only 69¢ each ALL DAY LONG! Choose from among more than 20 sauces and rubs to compliment! 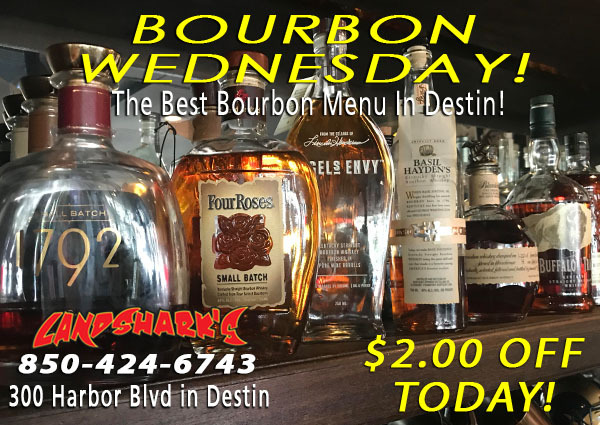 BOURBON FANS SPECIAL: Today, get $2.00 OFF ALL BOURBONS – even the best of the best bourbon menu in Destin! 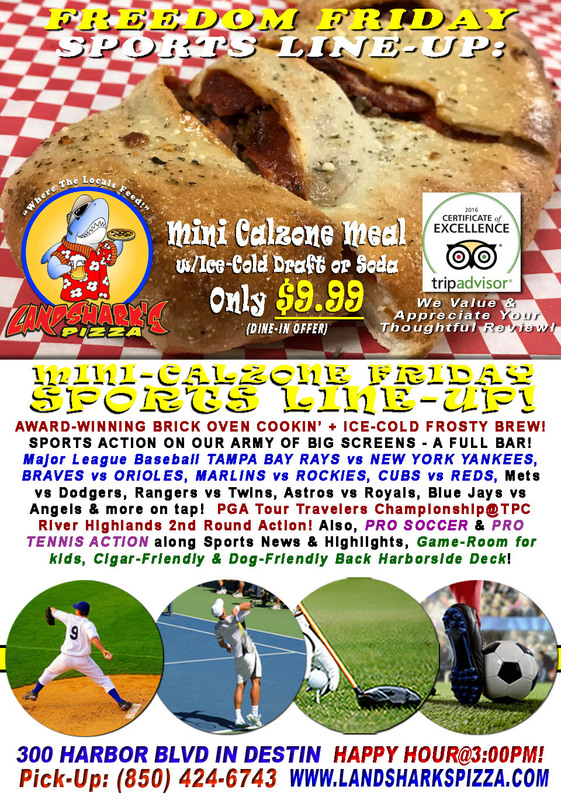 SPORTS ON OUR ARMY OF BIG SCREENS – Major League Baseball TAMPA BAY RAYS vs HOUSTON ASTROS, MIAMI MARLINS vs SAN FRANCISCO GIANTS, ATLANTA BRAVES vs TORONTO BLUE JAYS, CHICAGO CUBS vs L.A. DODGERS, Cardinals vs Phillies, White Sox vs Indians, A’s vs Padres, Rangers vs Royals & more on tap! There’s also PRO SOCCER & PRO TENNIS coverage plus plenty other Sports Broadcasts, Sporting News, Analysis, and Commentary! Pro Tennis This Week: Gerry Weber Open & Fever-Tree Championships. 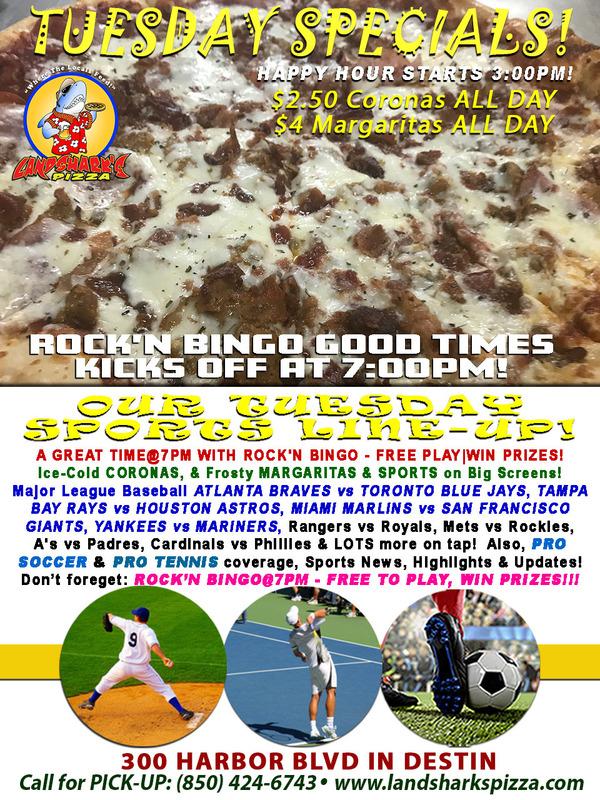 Previous Post: « Enjoy Landshark’s Tuesday MARGARITA & CORONA SPECIALS with ROCK’N BINGO FUN at 7PM!